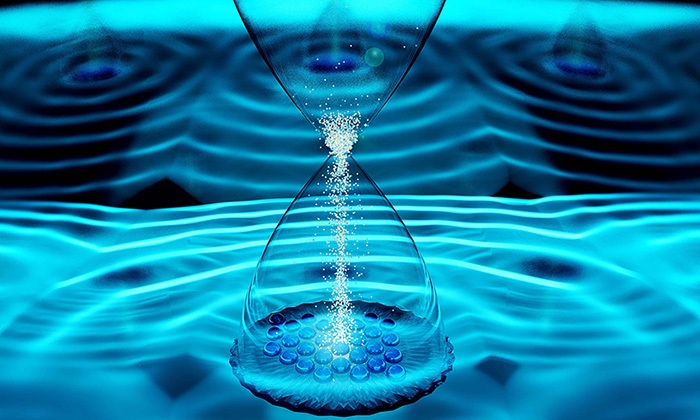 Scientists were able to create an entirely new phase of matter, dubbed a time crystal. But it's not like the quartz crystal in a watch. That kind of crystal has a repeating atomic structure. What scientists, including UT's own Andrew Potter, assistant professor of physics, were able to do is create a repeating structure in time rather than space. Because the atoms never settle down, time crystals are a non-equilibrium phase of matter, something that could have potentially big implications for advancements in quantum computing. Speaking of quantum computing, that subject was everywhere in the news this year, with companies like Google announcing breakthroughs that could exponentially shift computing power and speed in the future. And UT's Scott Aaronson has become a go-to authority to explain the next big thing in computing to the masses.Aaronson was also recently selected as a 2017 Simons Investigator in Theoretical Computer Science by the Simons Foundation. In an episode of our Point of Discovery podcast, Aaronson explains quantum computing. A team of UT scientists and engineers has successfully created a tool that can tell the difference between healthy tissue and cancerous tissue in about ten seconds. The biggest concern for people undergoing cancer surgery is "did they get it all?" At the same time, surgeons don't want to remove healthy tissue if they don't have to. 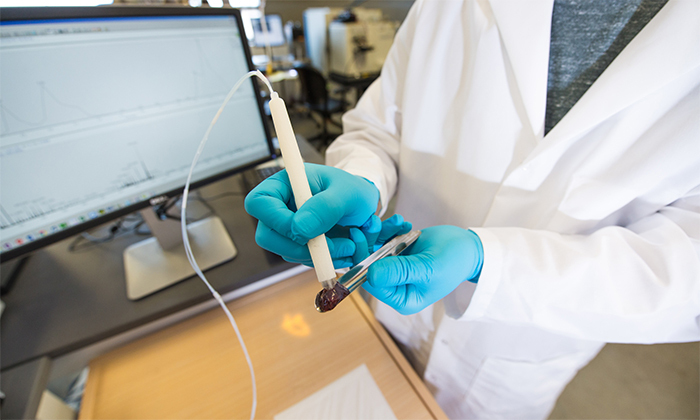 Enter the MasSpec pen, created by Livia Schiavinato Eberlin, an assistant professor of chemistry, and an interdisciplinary team that merges the fields of chemistry, engineering and medicine. Researchers in the Department of Integrative Biology discovered bees that were treated with a common antibiotic were half as likely to survive the next week as bees that were not treated. Led by professor Nancy Moran and postdoctoral researcher Kasie Raymann, the team's discovery sheds potential light on falling bee populations and could have health implications for humans, too. Doctors are already using a gene-editing tool called CRISPR in clinical trials on humans to change mistakes in a person's genetic code. This could lead to cures for disorders like cancer, HIV and Huntington's disease. But no tool is perfect and sometimes there are errors. A UT team, led by Ilya Finkelstein, an assistant professor in the Department of Molecular Biosciences, developed a way to rapidly test across a person's entire genome to foresee other DNA segments the gene-editing tool might interact with besides its target. This new method, they say, represents a significant step toward helping doctors tailor gene therapies to individual patients, ensuring safety and effectiveness. This year saw some important advancements in our understanding of black holes and how they interact with the universe. The hearts of galaxies are thought to be supermassive objects with astounding gravitational pull. Scientists had two theories about these objects: they could be supermassive black holes that pull in everything around them, including stars, or they could be gigantic objects with a hard surface that stars and planets crashed into. Pawan Kumar, a professor of astrophysics, and his graduate student Wenbin Lu, teamed up with Harvard to find out which one it is, and along the way proved that Einstein was more right than we knew. An international team of researchers, including UT astronomer Shingo Hirano, successfully used a supercomputer simulation to recreate the formation of a massive black hole from supersonic gas streams left over from the Big Bang. 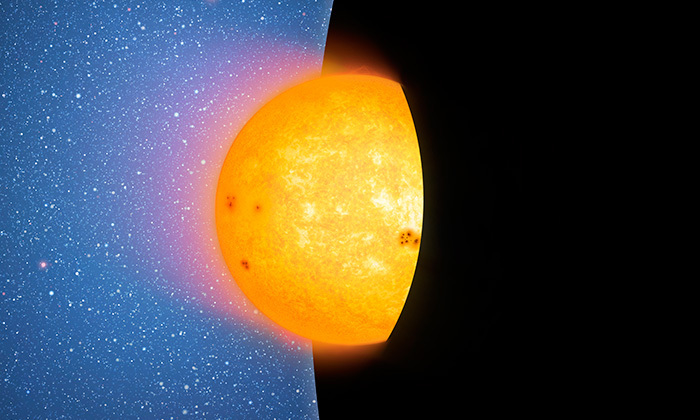 This sheds new light on the formation and evolution of the first supermassive black holes, providing a solution to a mystery that has confounded astronomers. Why Don't Poison Frogs Poison Themselves? 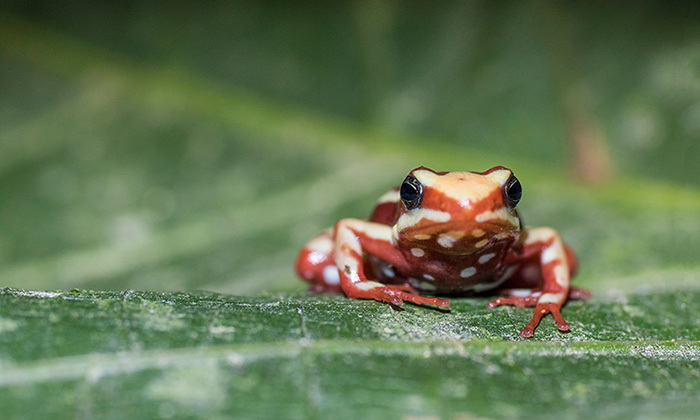 Scientists in the Department of Integrative Biology set out to answer this head-scratcher: how do these bright, squishy frogs, carriers of some of the world's most powerful toxins, keep from poisoning themselves? Rebecca Tarvin, a postdoctoral fellow in Integrative Biology teamed up with researchers, including professors David Cannatella and Harold Zakon, and what they found along the way may have implications for the study of human pain and addiction. A team led by marine scientists from The University of Texas Marine Science Institute (UTMSI) discovered a way to use the incredibly loud, distinctive sounds that fish make when they gather to spawn—not to catch them but to protect them. The technique was developed specifically for the Gulf corvina, a popular fish in Mexico's Gulf of California, but it can be adapted to other fish, included endangered species. UT scientists published findings based on the most comprehensive study of LGBT youth to date. 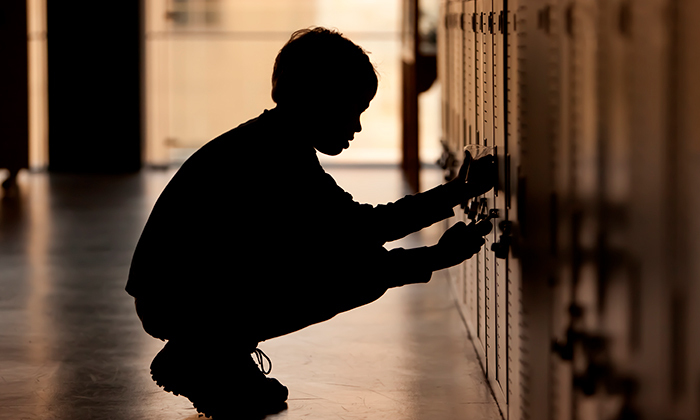 Researchers with the School of Human Ecology were the first to use representative, population-based data to examine whether bias against transgender youths is associated with higher levels of suicidal thoughts and greater alcohol, cigarette and drug use. They found that transgender adolescents face more bullying and bias; consequently, they are twice as likely as the general population to have suicidal thoughts, and they are up to four times as likely to engage in substance use. Worst Time to Give Birth? Giving birth can be a risky endeavor. And the length of time an obstetrician has been on shift when an unscheduled delivery happens can affect the risk to mother and baby, UT researchers found. James Scott, an associate professor of statistics and data sciences and at the McCombs School of Business, and his team discovered that around hour 9 of a doctor's 12-hour shift, the risks go up. Aside from headline-grabbing discoveries and scientific advancements, the College of Natural Sciences had some other newsworthy developments this year that Longhorns can be proud of. 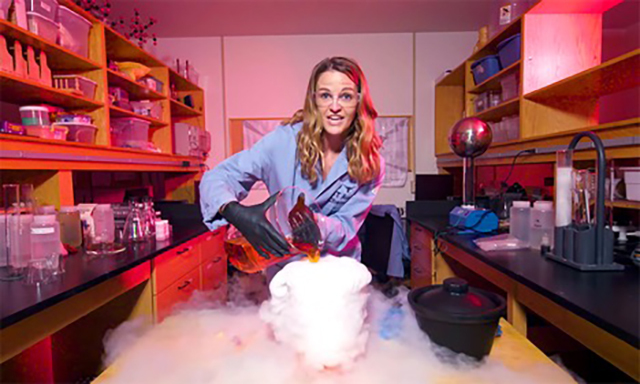 Kate Biberdorf, chemistry lecturer, is well-known for her demonstrations involving exploding balloons, fire breathing and detonating pumpkins, which she does for grade-school science classes around Austin. Others have taken notice. 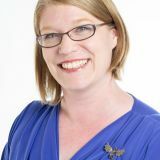 Biberdorf has been featured on Amy Poehler's Smart Girls web series, CNN and NBC; she was profiled in magazine pieces, and her online videos are getting thousands of views. 2017 was kind of the year Biberdorf blew up (pun totally intended). Did you know that UT has a championship robot soccer team? The team, Austin Villa, took home first place in the 3D Simulation League at the 2017 RoboCup, held in Nagoya, Japan. The team has held the first place title since 2014. The seven-member team of students is led by Peter Stone, professor of computer science. A College of Natural Sciences alumnus, Michael W. Young, class of '71, was awarded the Nobel Prize in Physiology or Medicine for his work in finding the gene that determines circadian rhythms in living things. The College of Natural Sciences launched its first completely online master's degree this year, offering students the opportunity to earn a Master of Science in Nutritional Sciences. The first class began in fall 2017. 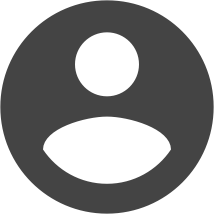 The move comes as credentialing requirements are changing for registered dietitians. By 2024, they will need a master's degree. U.S. News and World Report ranked the Best Global Universities and named the University of Texas at Austin the top university in the state and #32 in the world. What's more, UT Austin Computer Science was named #2 in the world and the best of any program in the United States. 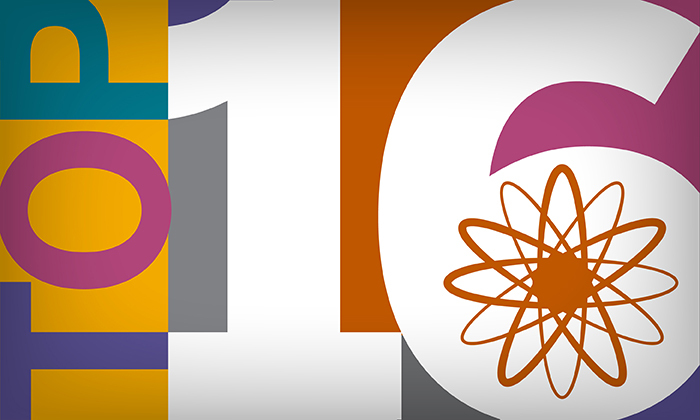 Chemistry was #10 and Mathematics #13. UT Austin also also received high rankings in the Nature Index, based on research from numerous departments including marine science, integrative biology and others.